You may have heard of Journey. It was only widely regarded as the best game of the year in 2012, and earned perfect or near perfect scores from a large majority of outlets, including our own Journey review. 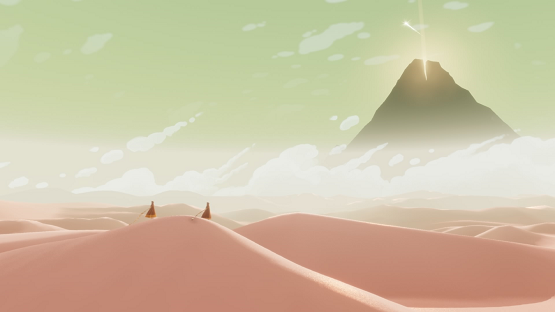 Even three years ago, we said of the PS3 version, “with perfect music, gorgeous visuals and powerful single and multiplayer experiences, Journey is the PlayStation Network’s must own magnum opus.” Now that experience has arrived on the PS4, is it worth dusting off the red cloth, standing up out of the sand, and taking the journey again, or even jumping into this world for the first time if you somehow missed its first outing? If you’re an owner of the PS3 version of Journey, the PS4 version is yours. It’s cross buy, so your original purchase means that you get to experience the emotion all over again on your PS4. If you had it on PS3, you already know what Journey is about, and undoubtedly have determined whether or not you want to make the download on your PS4, which looks phenomenal in its upgraded state. For those of you that did’t have a PS3 — the only proper excuse for not having played Journey previously — I’ll try to tell you what your getting into. Journey is difficult to describe, because in many ways, it’s a very personal experience. Sure, the general layout of the game is unchanged from person to person, but the key lies in the uniquely anonymous social aspect. While I’ll tell you a little about my experience with the PS4 version, keep in mind that your mileage may vary, though that particularity is largely the point of the experience. Arising in the middle of desert, I begin making my way towards an enormous mountain with a light shining from the top, though it’s hazy and the distance to my assumed destination is a guess at best. I move through the dunes until I come upon some ruins. One of the game’s very minimal and few prompts directs me to press circle to emit a ping. Quick presses result in quick small pings, and longer presses charge the ping into more of a shout. Releasing a flurry of trapped bits of cloth, I gain a small scarf, which grants me the ability to briefly float through the environment. Jumping a little further ahead in my journey, my scarf is now longer, allowing me to fly further distances. I recognize this new area. I’m supposed to create a bridge by freeing various trapped pieces of cloth in the environment. As I begin my quest to create the bridge, I notice a small glow across the sand that vanishes as quickly as it appeared. A ping. Another traveler! I frantically ping back, trying to get their attention as I move in their direction. The desert can get lonely, you see, and having a companion makes the going easier. When two travelers stand close enough together, they are able to recharge the energy each other’s scarves. Without the ability for either of us to say a word to one another, we head up the half completed cloth bridge. Leaping over the final two massive gaps, we use each other to maintain our energy and make our way to the other side. It’s only on reflection of the moment that I realize we just accomplished something pretty incredible without ever speaking. The moments like these with your companions are what make Journey. Soon after, I lose my bridge companion somewhere in the sandy dunes and I am alone again. Did they log off? Did the game decide to separate us? Did we simply separate to far? I may never know, and I push ahead with the hope that I can find another traveler, which I quickly do. This traveler seemed to be new to the game, at least from what I could tell by their exploratory nature and seemingly unsure movements. Together we ventured into the dark abyss, and I recall the great beasts that would tear your scarf if they saw you. Frantically spinning around, I locate my companion and start pinging like mad, trying to tell them to stay away from the lights. I’m too late. The beast is already snatching them up, and there is an explosion of light as their scarf becomes a fraction of its previous length. In my heroic antics, I fail to notice that I’ve put myself right in the path of one of the creatures too, and despite my best efforts to escape, my scarf is torn. My companion and I gather the scraps of our dignity and slowly hobble toward the exit of the dark abyss, feeling defeated, though defeat is far from the end. 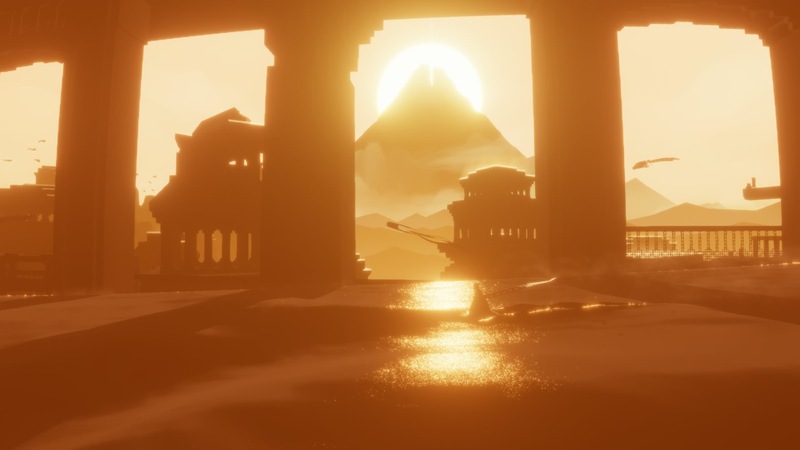 These are the stories that no one else will have and that will change every time you play due to Journey’s very unique multiplayer. I hear people talk about getting to the incredibly powerful end of Journey, and the short experience that it offers, but there is vast replayability in the cycle, as the new traveler becomes the guide, in both knowledge and aesthetic. Your journey is exactly as long as you make it, and starting again is encouraged. 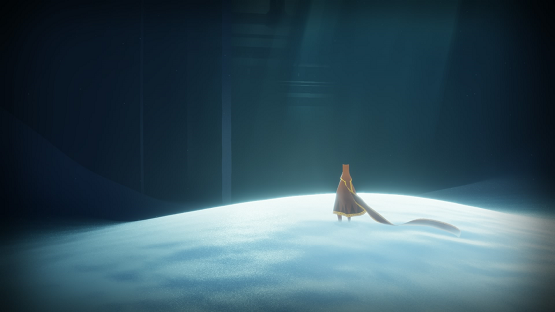 Journey is minimalist to allow you to fill in those gaps with your own emotion and experience — to apply your personal situation and make the story your own. 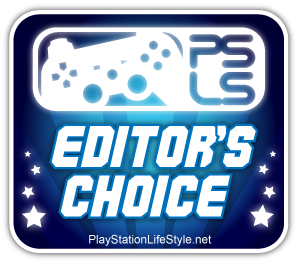 It’s a simple beauty, but one that shines brightly and now has the opportunity to be played by millions more thanks to its stunning upgrade to PS4, with beautiful lighting and environments that impress. Whether you’ve played Journey before, or never had the opportunity, do yourself a favor and make your way to the top of the mountain on PS4. You may find more on the way to the peak than you expected at the outset. Journey review copy obtained via cross-buy. For more information on scoring please see our Review Policy here.